When you purchase any service or product, you would certainly want certain needs to be fulfilled. This holds true for anything- gadgets, clothes, shoes or even an insurance policy. So, it is imperative that you are careful about picking the right insurance plan- whether you buy it for yourself or others in the family. And you want to be especially careful when buying a life insurance policy. For a majority of people, the main reason for buying such a policy is to safeguard financial security in old age. They also want to keep a financial cover for the dependents in the family in case any mishap takes place. A number of people end up buying life insurance policy plans that are not suitable for their needs and situations. This happens because they do not analyze vital factors, personal priorities and future possibilities before buying such policies. Making such mistakes can cost you dearly. 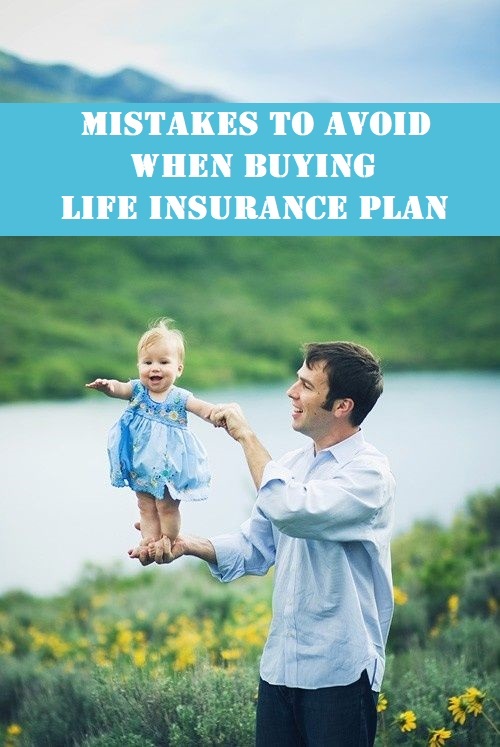 Exactly why we think you should learn about the mistakes that people make when buying life insurance policy, so you can avoid them in future. 1. Life insurance plan or investment with insurance coverage? Not all companies offer the same type of insurance with life coverage, as it is. You can find pure term insurance policies that offer a lump sum amount upon maturity and death of the insured individual. However, there are a few plans that are offered as both investment and insurance means. The primary life insurance plan should not be an investment based policy. Such combined plans do not offer the benefits you get in a life insurance coverage plan. When you buy a life insurance policy, analyzing the premium and coverage is absolutely essential. You have to think of factors like your existing income, career prospects, existing expenses and future needs. You also have to think of inflation related factors and think whether the maturity amount or coverage would be adequate for you and the nominees after a certain period of time. Besides, you have to think of the premiums of any other insurance policy and loan you already have. Buying a policy without analyzing these factors is not advisable. Life insurance policies are sold in various duration and coverage amounts, by various insurance firms. However, analyzing the tenure and premium amount is necessary prior to buying such plans. If the premium amount is too high and the policy continues long after your retirement, it will prove to be difficult later. Similarly, buying a policy with scant coverage that gets over before your retirement does not cut much ice too. A lot of people make mistakes in buying insurance policy because they act in a hurry and do not perform enough research. You should not make the same mistake. You may not have much idea about the viability of the available insurance plans with life term. However, you can make use of the web resources. There are several websites where you can compare features and cost of such policies side by side. This will be better than relying on just the websites of specific life insurance firms. Another mistake some people make in buying life insurance policy is going by the recommendations of colleagues and relatives. This is a grave mistake and you should not commit it. A specific life insurance policy may be suited for a colleague or relative, but his/her financial situation, needs, future plans can be very different from yours! The same policy may not be suitable for your situation and needs. A lot of young, working professionals have the idea that they do not need life insurance coverage before their mid-30s. This is far from the truth. Life can be quite unpredictable and you can never know when you may get stuck in mishaps including major ailments and accidents. If your spouse is a homemaker or there are young kids who are dependent on you, lack of a life coverage policy can have serious repercussions, financially. Besides, some life insurance plans come with bundled accident coverage. So, in an unfortunate event the policy holder gets crippled by a severe accident, he/she can get accident compensation in the form of a lump sum amount. When you buy a life insurance policy from a company, you need to provide specific details, including your health conditions, medical history, income status and many other nuances. This is the required data based on which the insurance firm decides the eligibility- these factors are analyzed when claims are made too. If the insurance company finds that the applicant suppresses any fact deliberately while applying for the policy, problems can arise when claims are made. A lot of life insurance plan buyers do not check the CSR of a company before buying the policies. The CSR or claim settlement ratio of an insurance company should be checked before buying any of its plans- just to be on the safe side. Do not get carried away by tall claims and marketing blitz of such firms, just check the CSR. While buying a life insurance policy and paying premiums makes you eligible to get tax benefits – you should not think of it as the main reason for buying such a policy! The main reason for buying the policy should be getting financial safety against mishaps and accidental, untimely death for the survivors. The tax deduction is an additional benefit of the policy and it should be viewed as such. If you plan properly and perform research, avoiding pitfalls in buying life insurance policy is not hard. You should utilize online resources and consult an insurance advisor, if necessary.